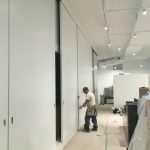 The most Eco-friendly room dividers in New York City are sound dampening sliding room dividers by large sliding door dot com. 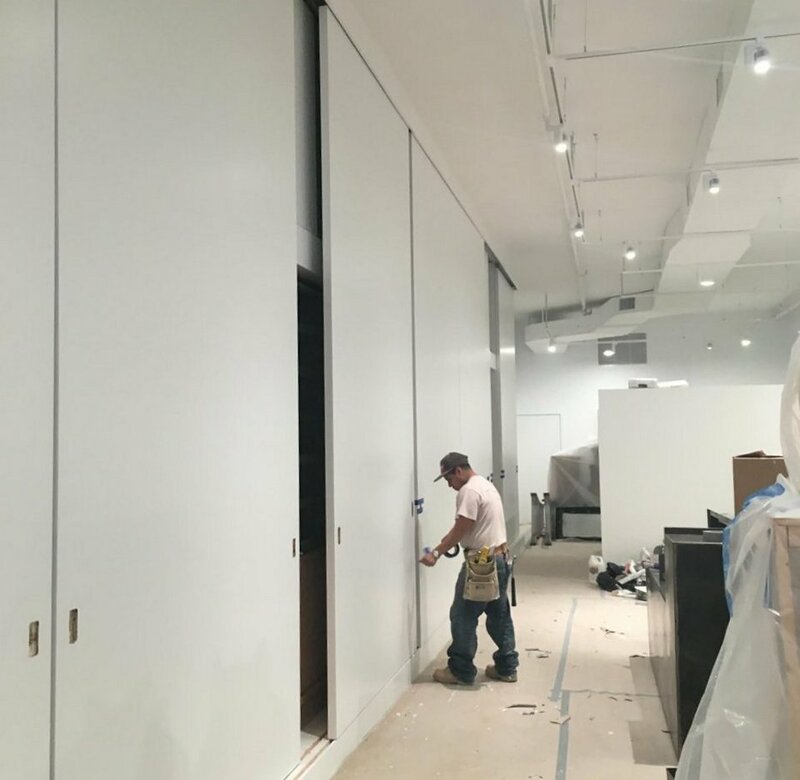 Many of our large sliding doors are shipping to NYC for use as sliding room dividers and though we receive inquiries every day about using our large sliding doors as sliding room dividers, we do not sell retail. 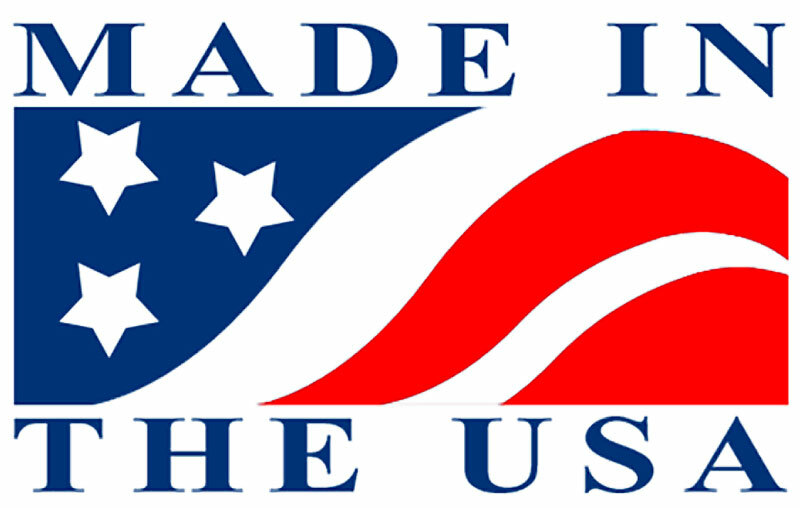 That is to say, even though we are supplying our slide doors to door manufacturers and millworks in the greater New York area, who are using our sliding doors as sliding walls to use as floor to ceiling room dividers, we are not involved in the final stages of the design and finishing of our room dividers in the NYC-area. Nonetheless, room dividers made with our patented sliding partition doors are highly sought after as modern room dividers due to their unique characteristics. To name a few, they are lightweight (a fraction of other solid core sliding doors), high strength (stronger than steel pound of pound), pre-packed with insulation for climate control and sound deadening, and (brace yourselves) are the only space dividers of all the NYC wall divider ideas that can be guaranteed not to warp or fail for 50 years. Though they are predominantly featured in high-end townhouses, luxury condos and penthouses, you will also find them in economy locations for subdividing commercial and/or living spaces as the most efficient contemporary room dividers because these affordable room dividers increase separation and privacy between spaces effectively. 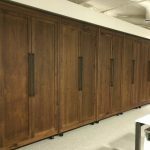 Though sliding room dividers are a growing trend our patented sliding door material is often used for non-moving temporary or semi-permanent installations for upscale room separator ideas. Classic interior designers are re-imagining the interior space design by featuring solid wood exteriors to define the space while adding an elegant feeling to the area by incorporating the look, feel and ambiance of natural wood. These beautiful wooden room dividers are constructed using our wood sliding door as the basis of what will highlight the area, while providing increased security and privacy. Another trend we are seeing in the millworks producing room dividers using our large sliding doors is by cloaking the wall dividers by disguising them as bookshelf units, as furniture, they are able to circumvent some of the requirements of traditional structural room dividers installed by contractors. 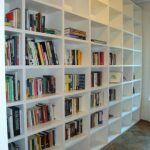 In the case of room dividing bookcases, patented 1.5 inch insulated material is utilized for the upright wall portion of the bookcase room divider, while .75 inch patented material is used for the lightweight, high strength, non-warping bookshelves, which keeps the entire unit high precision and sleek over time. 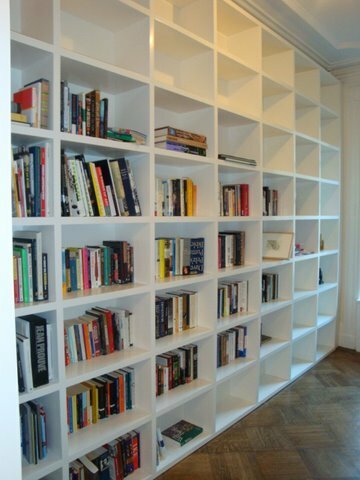 Bookshelves can be attached to either one side or both. 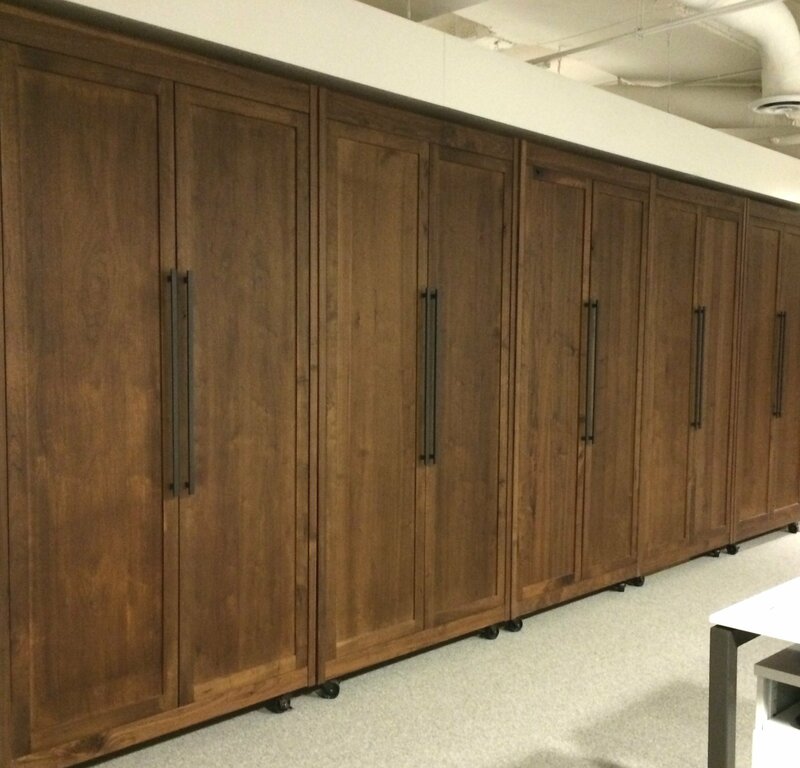 Reduced to its simplest form this application of using a custom room divider (with or without sliding door hardware) would be equivalent to a room divider with shelves. Then, just to liven things up, some New York spaces are semi-separated by connecting French door room dividers that articulate with a hybrid combination of slide and fold doors that feature large (most of the surface area is clear glass) glass openings, where we pre-cut the lite openings in the slide doors and the millworks provide the glass installation, as well as the finishing, attaching sliding door hardware and possibly install the high-end temporary walls nyc. Any combination of hardware may be used based on the design of the interior designer, specifications by the architect or the desires or requirements of the end user as anything is possible with your large sliding doors.